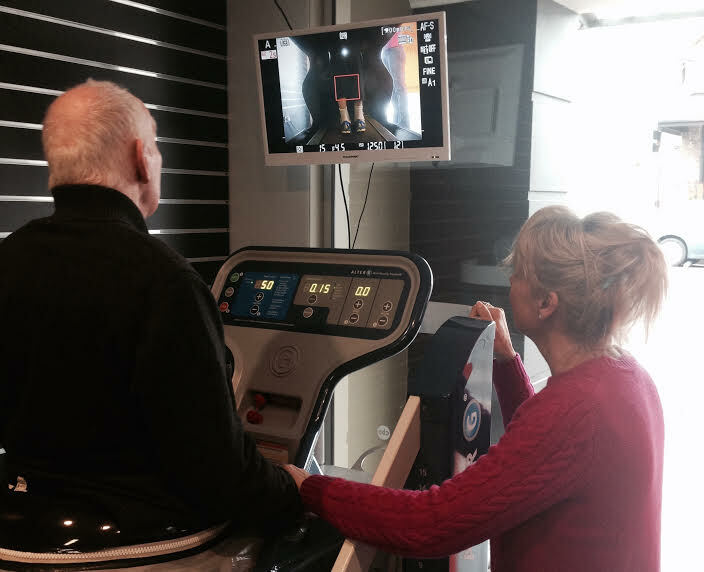 At Aurora Active we know exercise is an important part of rehabilitation. 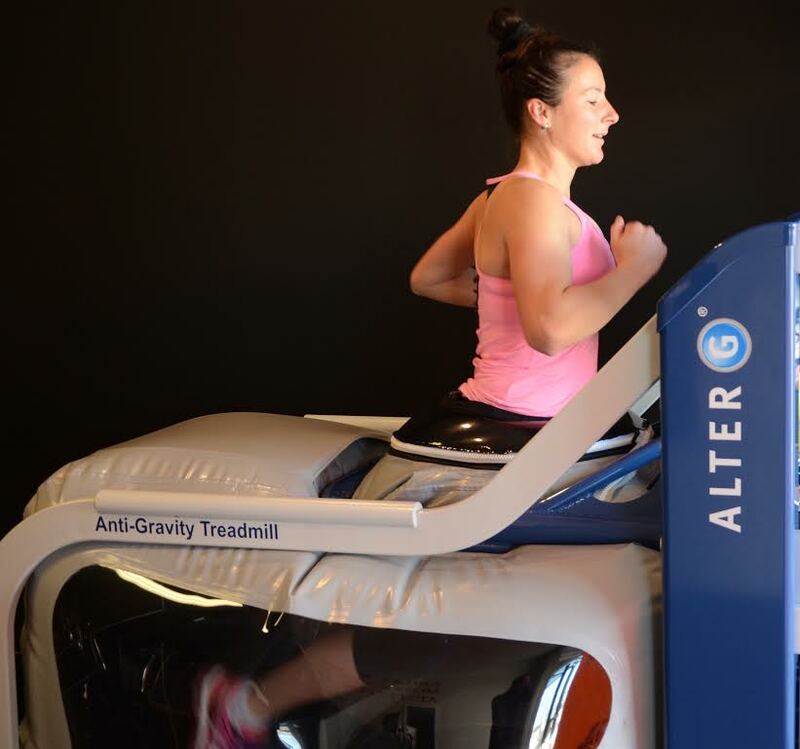 This is why we are fully equipped with AlterG Anti-Gravity Treadmills. 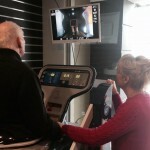 This rehabilitation treadmill uses unique technology to provide a safe and comfortable partial weight-bearing therapy while promoting normal posture. It helps you to get mobile quicker, in a controlled and safe environment. It will change the way you train, recover and get stronger. By allowing you to be 80 percent ‘lighter’, it is low to no impact, which means your joints remain stress-free. Professional athletes – if you want to take your training/running to the next level it helps you to train longer, run faster, build strength and improve cardiovascular performance while minimising impact and stress on your joints. Senior citizens- If you need assistance with your balance or you’re less mobile, the Alter G provides a protected environment for you to improve your fitness. 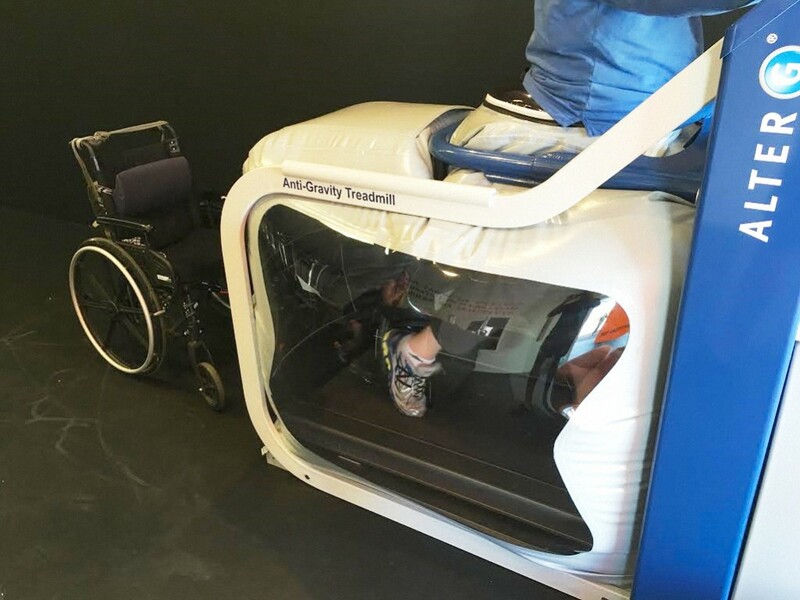 Post-injury – This is fast becoming the essential rehab equipment to be using by anyone who has had a knee or hip reconstruction as it gets you into a normal walking gait faster and safer than any other equipment. Those who are overweight – the machine takes the load off your joints and allows you to focus on reducing your body weight safely. Especially suitable for those who can’t exercise due to excessive weight. NB: there is a maximum weight allowance of 180 kg. 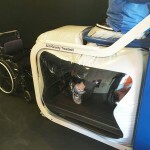 Read what athletes have said about the AlterG and the wonderful guidance that Stephan Venter provides on the AlterG website. 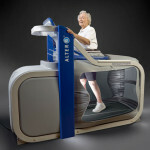 The Alter G is covered by private health insurers. It’s finally time to get all the benefits of regular exercise pain free!